When I started talking about this concept of building a bridge and reconnecting with nature and animals as a solution to many challenges we face in today’s world, there were many raised eyebrows. I was not surprised as in many ways I would have done the same a few years ago if someone had mentioned we could learn wisdom from animals and reconnecting with nature. So I am going to start from the beginning of my awareness of this “world” of animal communication, conscious business and how I came create these unique immersive adventures. I wanted to share my personal experience relating to my work, my spiritual path and my relationship with animals to set the scene for the foundation of my personal journey into White Lion Consciousness. Nearly 4 years ago now I was at a crossroads in my life and knew that everything had to change as I wasn’t happy with my life as it seemed to lack meaning and purpose. I decided it was time to completely “unplug” letting everything I owned go and simplifying my life. What kept my head above water while my life fell apart was my reconnection with nature. I sold all my material goods, the house, the car, the furniture, most of my clothes and personal items, just everything I didn’t need any more and move to Spain to a quieter more connected environment with more sunshine and peace and quiet. Work wise I realised that I didn’t want to work in the same way and so now my life if dedicated to reconnecting humans to nature through interspecies communication and what we can learn from nature. A recent experience with a beautiful golden retriever called Max was the start of this recent journey into to the world of interspecies communication, animal wisdom and the protection of endangered wild life species as part of the re-education of leaders by reconnecting them to plight and importance of natural birth right of all animal species. On New Year’s Day 2014 I was having a drink in a café on the beach when this beautiful white golden retriever came over. I had been watching him for a while run on the beach and playing with a couple of other dogs and their owners. He appeared not to belong to anyone who I found very strange and, I had not seen a retriever before in Spain as it’s not a popular dog choice here. But thrilled he had come over to say hello, I offered him some water which he lapped up very quickly indicating to me he was dehydrated. Then something strange happened…we started a conversation! Yes, a conversation as if someone was speaking with me. Not in words and I didn’t hear anything but more of a knowing. Bear with me on this as it will make sense as I go. What I “knew” was he had run away from home because he was bored and no one seemed interested in paying him any attention. His owners had gone away and the people at the place he was being kept were too busy with other people. He had travelled for about half a day along the beach and had come far. He was now hungry and ready to go home. So now I am sitting thinking how odd that I just had this whole story inside my mind out of the blue. It was like someone was telling me the story but there was no voice, sound but rather just a knowing and energy around it that made me think twice. I initially thought what a great imagination I have! I looked at his tag on his collar and saw his name was Max. There was a phone number on the tag too. I asked one of the waiters (who spoke some English) if he could call the number and let them know we had their dog Max. As it transpires, Max was being looked after by hotel staff as the owners of the hotel had gone away for a week’s holiday. The owners were Max’s keepers. Max had been missing for a couple of days and came from the next town along from where I was. The information I was given matched what I had “known” about him and that is when I thought something else was definitely happening! I then started to talk to Max, as I used to when I was young to other animals. Not speaking but thinking and creating pictures in my head. He turned to me and we connected in such a powerful way, it was very difficult to explain. I knew then that we had communicated. He reassured me it was true and that everything was ok. He was grateful for my help and a little worried as he knew he was in trouble. My heart was so full of love and the beautiful energy I was receiving from him was so powerful I just sat there stunned. A few minutes later a lady in a car arrived and as Max left he turned to me and said – ‘I am ok and thank you’. And with his tail between his legs he walked slowly towards the car and jumped in. Well as you can well imagine I was stunned! Then suddenly a rush of emotions followed and I burst into tears and laughed hysterically. I had never felt such incredible undeniable love in all my life. I couldn’t get my head around what had happened. My logic was just denying any concept that this just happened. I sat there for a while, to gather myself but the journey home was a complete blur as my whole body, mind and emotions were totally overwhelmed. I sat in my mediation chair in tears asking for some guidance and explanation as thought I had completely lost it mentally. I had such a powerful meditation and was told that this was very important and more was to come. As I write this my eyes well up with tears of recognition and emotion of something profound having shifted in my consciousness. That moment still fills me with such profound love and there are no words in our language that fully express the emotion of that kind of love. It was then I knew something had changed in me. I demanded answers from my guides as couldn’t understand what it all meant. Over the coming months through my meditations, dreams and “aha” moments, my path became very clear and a sense of “being on purpose” soon took over my daily activities. I was so hungry for knowledge, information and understanding that I spent 3 months solidly researching all I could about animal communication, telepathy and anything to do with nature and animals and our innate natural connection to them at a much deeper and meaningful level. Over the months the whole idea, concept and meaning have revealed itself and each time it’s been refined, more specific and certain. 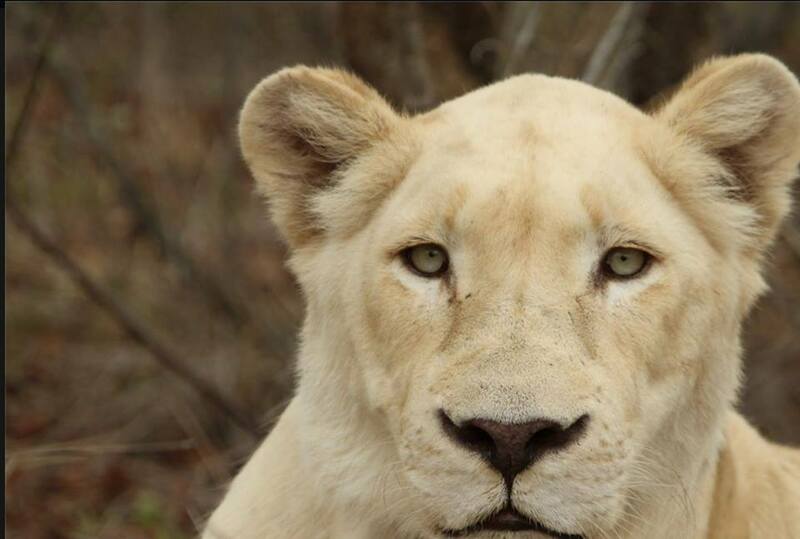 I was encouraged by all the connections I had received to put a proposal together for an organisation that had been brought into my awareness, the Global White Lion Protection Trust, to launch this new concept of interspecies communication, animal wisdom and personal and professional leadership transformation. The exact alignment and same core values of what I was being divinely driven to do and what Linda Tucker, the Founder and CEO of the GWLPT, had already been doing for years, was a definite sign I was moving in the right direction. I needed to focus on not just any animals but wild life and not just any wild life, but endangered species. It wasn’t just communicating with animals, which I have relearned to do, as it is innate in all of us when we are born, but more for us to commune with them, connecting heart to hear and listening to their wisdom as they have so much to share that can help us. Why you ask…..well they have a direct uninhibited connection to source, they are as pure of heart as you can find in our world and their knowledge, understanding and relationship with all that surrounds them, is so powerful that it is why no matter how the environment changes around them, they adapt really well. The formula of teaching animal wisdom through leadership, communication, relationships, sustainability or any other skill we need assistance within ourselves and our professional lives, is key to building the bridge and reconnecting us human animals with what is so natural in nature! The concept of Journey into White Lion Leadership was born. I was still asking why me, why had this come to me instead of those already linked so much closer to nature, wild life, preservation of endangered species. The answer I received was that because of my skills and passion for what I was doing, I had what was needed to help birth it into the main stream. My years of business and event experience would be able to design educational platforms for teaching of these concepts, my passion for animals and travel would help to identify which ones we needed to focus on and create experiences that would totally engage people’s imaginations. And then finally my desire to make a difference in the world would drive the tremendous impact this would have in a far reaching and powerful manner. Therefore, it truly is my HONOUR to share this with the world so that you too may be moved, as I am, to truly be part of the change we want to see in the world. My Avatar Adventures the business I created around this event, is the start of this amazing journey not just for me but for all those who answer the call of the White Lions.